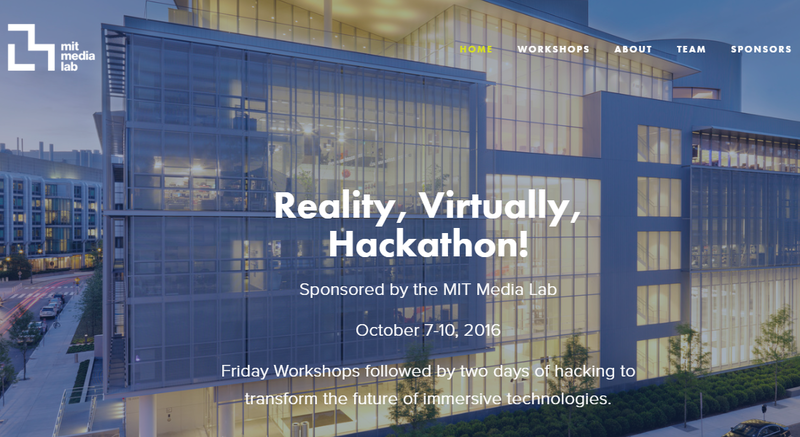 The MIT Media Lab will host tomorrow the largest virtual reality and augmented reality hackathon in the U.S. 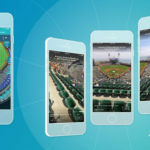 It features more than 400 developers and designers and the event will call attendees to explore immersive technologies by creating apps for several industries such as advertising, construction, healthcare, etc. The event begins tomorrow (10/07/2016) at 7pm will last until Monday (10/10/2016) at 6pm. The Hackathon requires an application and selection process for the participants, but there will be a public Expo on the last day, from 10am to 4pm. The Expo will be free and open to general public, but it requires a registration. The Reality, Virtually Hackathon intends to increase the skills of sound/video engineers, graphic artists, developers and designers so they can discover innovative and unique uses for VR/AR. The location is the MIT Media Lab’s beautiful 6th-floor facility, 75 Amherst St., Cambridge, Massachusetts. Overlooking the breathe-taking Boston city skyline. 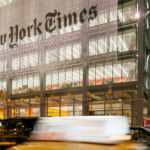 “The MIT Media Lab goes beyond known boundaries and disciplines, encouraging the most unconventional mixing and matching of seemingly disparate research areas. It creates disruptive technologies that happen at the edges. Said Steven Max Patterson, one of the organizers. 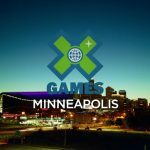 The Biggest VR/AR Hackathon & Expo in the U.S. 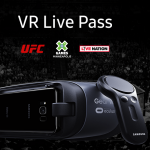 Event participants will be able to use the VR and AR platforms provided by sponsors in order to build on existing knowledge or learn these technologies. There will also be workshops so participants can get familiar with new software tools, headsets, development platforms, design and more. Specialized mentors with skills on many of these areas will guide and assist participants in breaking through the development and conceptual barriers. 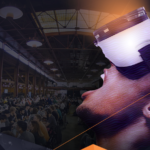 Some of the world’s best developers in augmented and virtual reality will attend the event, they come from 9 different countries and more than 20 states. 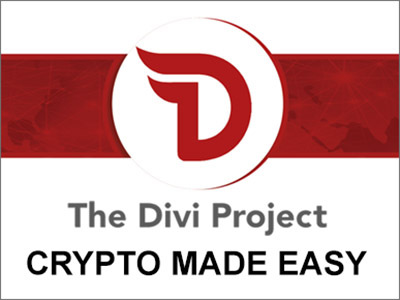 400 to 500 participants from the local, national and international developer community and students from MIT and other universities around the world. 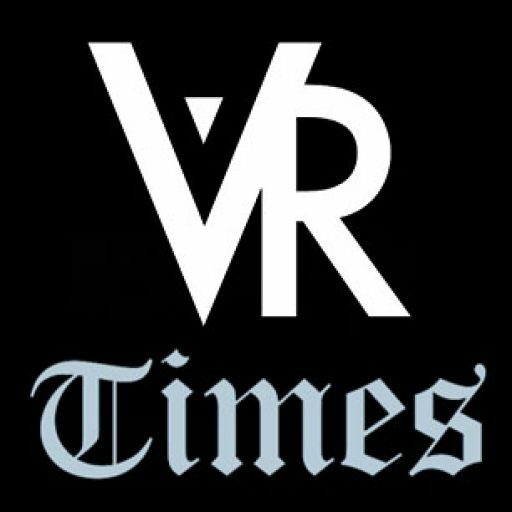 Analysts estimate that virtual and augmented reality startups have received a record $2.3 billion in investment from venture capitalists. They also claim that by 2021, virtual reality hardware will be worth $50 billion. 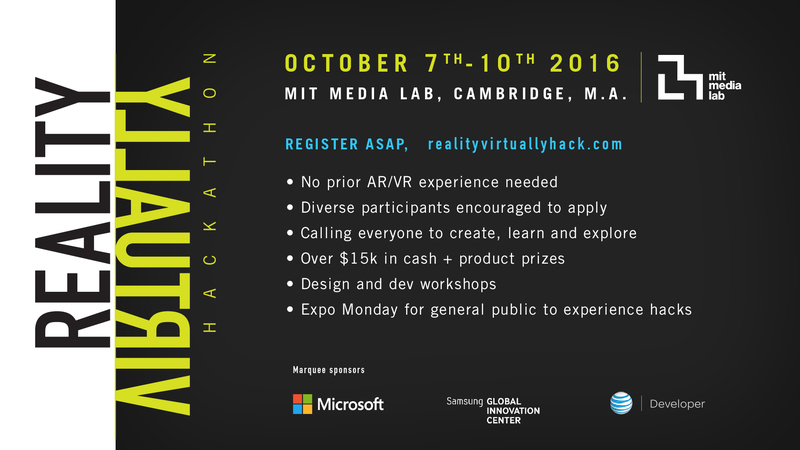 The Reality, Virtually, Hackathon was organized by a team of AR/VR experts, developers, industry executives, MIT undergraduate and graduate students and alumni. Sponsors include MIT Media Lab, AT&T, Microsoft, Samsung, Autodesk, SpaceoutVR, Sony Playstation, Cubic, Qualcomm, GE Ventures, Isobar, Imotions, Shadow Creator, ARM, Fox, HTC Vive, Tango, Affectiva, and Unity. For more information go to the official website of the event.